Readers’ Favorite announces the review of the Children – Picture Book book “Bump and the New Pet” by T. D. Ashcraft, currently available at http://www.amazon.com/gp/product/0997042079. Meet Baryn, Bump’s new pet in Bump and the New Pet by T.D. Ashcraft. Bump found him in a tree, and Baryn is a rainbow rhino-bat. Baryn’s horn changes color with his mood. Bump does not shut the windows in time when Baryn starts to fly about. Baryn flies out, his horns a happy yellow while heading for open skies. He dives and slices through the air and banks above a bully’s head and gives him a fright. The angry child throws stones at Baryn and his horns turn blue. Bump comes to rescue his friend and together they go back to Monsterland. 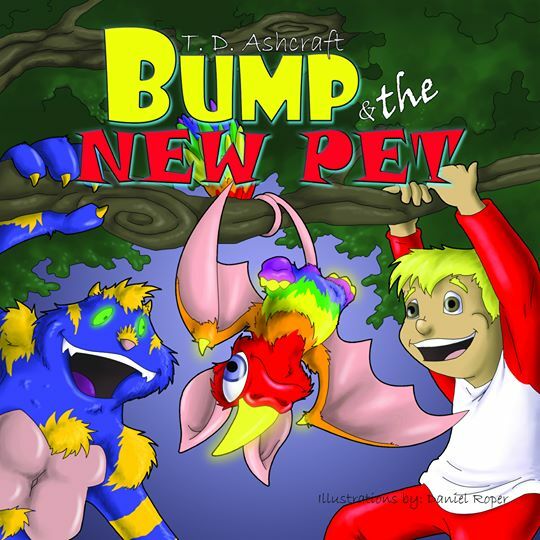 You can learn more about T. D. Ashcraft and “Bump and the New Pet” at https://readersfavorite.com/book-review/bump-and-the-new-pet where you can read reviews and the author’s biography, as well as connect with the author directly or through their website and social media pages.